A surprise game this year, The Maze of Galious (Knightmare II) is coming from Opcode Games for the ColecoVision Super Game Module! 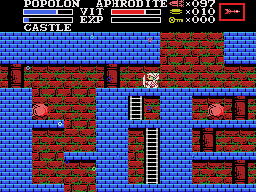 Maze Of Galious is regarded as one of the greatest games for the MSX home computer, being released in 1987. While most of the console and home computer games back then had very simple gameplay, quite similar to arcade games, Maze of Galious was an epic action adventure. It mixed the mechanics of platform games with the exploration of huge maps. 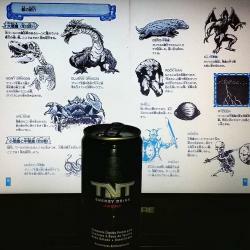 It required several hours to complete, a task nearly impossible to do in a single gaming session. 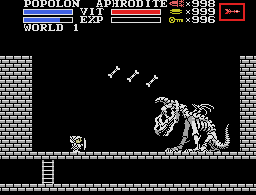 The game concept can be best described as a mix of classic Zelda and Metroidvania. In this game you can select between Popolon (the knight from Knightmare I) and Aphrodite (the princess in distress in Knightmare I). They now must save their yet to be born son Pampas from Galious, the evil priest who kidnapped Pampas from heaven. This game is huge, more than 300 screens, a large main overworld with 10 smaller worlds inside it, each world governed by a major demon.The game still includes more than 60 minor demons and 50 items with different functions. 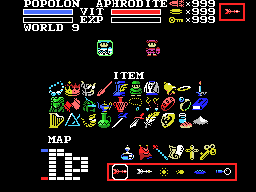 Popolon and Aphrodite have different abilities too and can use many different weapons. The SGM version will replace the password system with in-cartridge saves, using the Super Game Cartridge save capabilities. The Maze of Galious is planned for August/September, and will be offered as a limited Special Edition and also as a regular editions. Details to come. ~Job of the day: redesign a Japanese manual into a new English version! 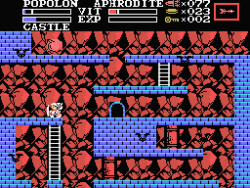 Yes, The Maze of Galious is coming to your ColecoVision. Be prepared! Oh! This is cool. Knightmare II was always one of my favorites. I had been working on a gameplay clone on the Intellivision, for the IntyBASIC contest some months ago. After some stressful events, I scrapped the project, and went back into retirement. Some fun trivia: the game was originally started as a NES game. Wow, your clone looks pretty cool! As for being a NES game, I don't think that is correct. The NES version came out months after the MSX version, and Konami never released Knightmare I for the NES, so it was probably ported due to the MSX version selling well enough (same thing happened to Metal Gear). Such a great game! So glad this is coming to the SGM! This is added to my top wanted list. Whoa I want this! Never played either the first or this game. Looks really cool. Below is a video of a full playthrough of the MSX game at over 1.5 hours long!!! This game must be huge. I have only watched a little myself but was shocked to see a ladder disappear after being used. Edited by Ikrananka, Tue Apr 5, 2016 8:09 AM. I meant that my own cancelled game was started on the NES, before being worked on for the Intellivision. Both versions were never released. I'm well aware of Knightmare II's origins. This looks fun. Glad to see action/adventure games coming out for the Colecovision. Keep up the awesome work guys. Just got my SGM today! I am quite sure there are a english manual for the game too ? I have played the game for MSX in the past, quite good game good luck. I was about to say, wasn't Maze of Galious released in Europe? But perhaps Opcode Games didn't have access to any other manual than the Japanese one, so that is the one they get to work from. Edit: Ok, I found a scanned English/French version. It has a lot of bleed through on the pages, so probably the graphics are nicer to grab from a Japanese scan. Also the Japanese one may contain a bit more colours. I don't know how good the translations are, if they're worth reusing or if Opcode retranslate from Japanese in this case. Edited by carlsson, Thu Apr 21, 2016 7:30 AM. The english manual of Maze of Galious is available on passionmsx.org. Or you can just download it via the attachment link below. Is this game still under development??? Would love to get this game for the SGM!! Yes, it is done, packaging done as well. I am holding it until we get DKA out though, or people will be very upset. Awesome!! Cannot wait for both!!!! Thank you!! That's great news! Looking forward to both as well.